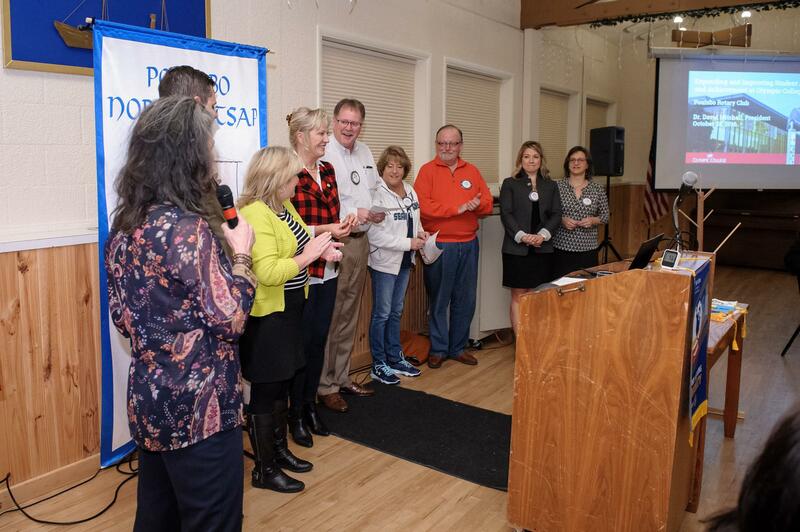 President Mary called up the 2016 Rotary Auction team to be recognized for their amazing efforts in making our 34th Rotary Auction a wonderful success. In all, the auction raised $62,500 net dollars. That’s a lot of great money that will do a lot of great work. As the money tree loses it leaves and the money suit goes back in the closet, Todd wants to remind all that the auction is not complete. There are still Accounts Receivable to collect, and the team would like to be able to close the books. If you have balances, Todd asks to have them in by December 1st.